The Shimano SLX FC-M7000-1 Crankarms share premium technologies found in the new XTR M9000 and Deore XT M8000 group-sets, keeping them performing on the same level as their top tier counterparts with just at a slight weight penalty. The DCE profile runs faster, yet increases chain retention force by up to 150%. They are also available with +3mm wider spindles for 148 OLD hubs. The SLX crankset was a direct replacement except in a 170 instead of a 175 that was on the bike, so it was exactly as I expected. Jenson’s price was by far the best, and delivery was on time. Could not ask for a better transaction ! Excellent cranks. They look good and don't cost a fortune. Easy to install and seam durable, though I have only had them on my bike for 2 weeks. Slx components quality per price is unbeatable. Good finish weight and of course aesthetics. Shimano SLX cranks are such great value for money. They are easy to install, they take years of abuse and they just keep coming back for more. Good Crank for the money. Note that it cannot fit a 28T or smaller chainring though. Anyone know the bolt circle diameter for these cranks? Does it include the bottom bracket? BEST ANSWER: Nope. Just the arms came when I ordered it. Gotta buy the chainring and the BB. 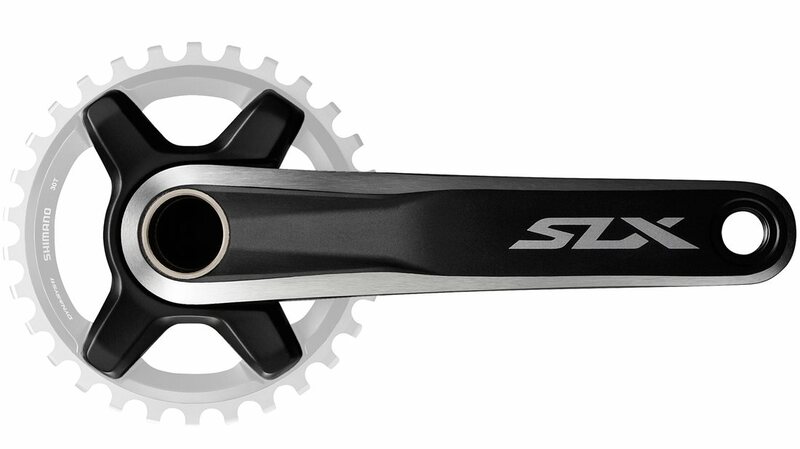 What is the difference between this crankset and SHIMANO SLX FC-M7000-B1? This appears to have a chain line of 50 while the B1 has a chain line of 53, but they're both compatible with normal and boost BBs? BEST ANSWER: On a bike with boost rear spacing (148mm) use the B1 version. If you have a non-boost rear spacing (142 mm) use the -1 version. The BB isn't effected by hub boost spacing. The B1 version has the chainring offset outward by 3mm to allign it with the rear cogs that are moved outward by 3mm on each side (148-142 = 6 total = 3 on each side). That's correct. Normal and Boost BBs are actually the same, as are the crank arms; the only difference here is the spider, which offsets the ring to Boost chainline. With other cranks, that use direct-mount rings (ex. 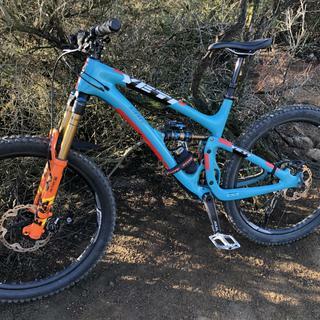 Race Face's Cinch mount), everything is the same between "standard" and Boost except for the chainring. Theoretically, you can use the non-boost cranks on boost frames by offsetting the driveside out by 3mm. 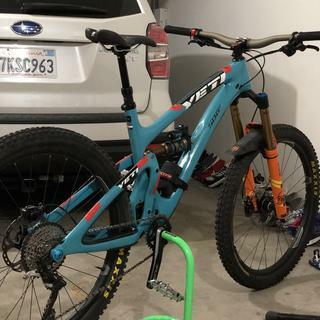 This is why you can use non-boost for boost bikes, but you cannot undo the built in offset of the boost cranks for use on non-boost bikes. HTH. I think it depends on your chainline. I can tell you they are an amazing set of cranks for the money though. Is this a 1x11 specific crank? BEST ANSWER: Single ring, but it would definitely work with a 10 sp cassette and may work with a 12 sp. The 12 sp chain could be narrow enough to fit poorly on the 11 sp chainring or an 11 sp chain may be a touch wide for a 12 sp cassette. Perhaps other users can confirm 12 sp compatibility. Depending on the chainring you buy honestly. If you buy the slx chain ring . then its suppose to be for 1x11 setup. You could buy a 2x chainring also but i dont believe jenson sells them. Once you get the cranks youll see that they are drilled as if to run 2x if you choose too. I think that is the case. I used it on my 1 x 11 Giant Anthem 2. There are an extra set of 4 threaded holes like the 2X version but the box, which did not include the chainring, specifically said 1x11. Best to order the 2X11 version if that's what you need to be sure. I think it can be used as a double. It has holes on the inside of the arms. My bike is at the LBS so I can’t check it. Confirmed you can add a second chainring. Does it come with chainring bolts? BEST ANSWER: Yes, the chainring bolts were included. It didn’t come with bolts. Will these fit a 73mm external threaded bottom bracket? Yes. I run them on a threaded XT BB with 1 spacer installed. Yes, just bought a set for this use. This can fit a Shimano saint B.B. with a 73mm threaded external cup? Will I need any extra parts for the boost spacing?